Are you stuck in a cycle of countless interviews but no job offers or callbacks? There are so many of us who truly have the drive to succeed but have not. Chances are this is due to mistakes we have made before the interview has even concluded. The basics are well known; as an interviewee you should give detailed examples of your work history, maintain eye contact and be very punctual. Still, there are other potential mistakes that can be easily made. If you are determined to improve your odds, it is time for you to seriously evaluate what is going wrong for you during the interview process. Are you stuck in a cycle of countless interviews but no job offers or callbacks? • If you think about it honestly, the interview begins with the phone call or email that you receive to schedule the appointment. Be aware of yourself from the very beginning. On the phone, use your best voice; speak clearly and concisely in a friendly voice. Whether your contact is online or in person, be polite and accommodating. Do not be difficult to schedule with, show them right up front that this interview is important enough to prioritize on your calendar. You will be remembered for your social skills. • Prepare, prepare, prepare. Be sure to know details and facts about the position, the company and even your interviewer if possible. Practice common questions out loud or even with an observer. You will feel much more confident if you have put in the time to be ready for whatever comes your way. • Even as you have been preparing, odds are that they have been too. As you have been looking into your perspective employers business, they have been looking into yours through social media outlets. Always remember that once something is posted and online, it is difficult if not impossible to take back. Social Media has become a huge part of the hiring process whether you think it is fair or not. Don’t provide them with a negative opinion of you before you have even met. Keep a clean, positive online presence. • From the moment your car door opens, behave as though the interview has already begun. And it goes without saying, be on time, no exceptions. Also, don’t arrive in the middle of a chat on your cell phone. Don’t cut someone off on your way to the door, hold it open instead. Be mindful of your manners. Smile and be friendly. Try to appear at ease even if you are not. • Greet receptionists or office staff as if they are part of the hiring committee, honestly, they may well be. These small displays of kindness are easy to overlook when trying to appear important, but they show as much as your resume who you really are and what it may be like to work with you on a daily basis. Give this crucial first impression the attention it deserves. • We all know that impressions are formed faster than is fair, especially in today’s job market with social media ever present in the background. Give yourself every opportunity to make a positive impression. Smile, give a firm but not to firm hand shake. Remember to maintain eye contact without over doing it. Basic human interaction skills matter. You should also wait to be offered a seat. Don’t plop down in the first chair you see, you are in their territory and need to wait until you are asked to sit and shown where to do so. • You know you need to dress the part, but don’t forget to dress the part you are applying for, not the one that you are coming from. Sometimes there is a vast difference. Thinking that you will dress up more once you get the job could prove to be a fatal error; the evaluation time is now, not later. Even if the workplace is new-age or trendy, it is better to be over-dressed than under-dressed. And don’t forget the iron! A nice dress shirt doesn’t count if it is wrinkled and untidy. Show you care enough to be your best. • As the interview begins, don’t be unnecessarily nervous. This person is ultimately trying to help you, not hurt you, so give them that opportunity. Use common sense as you answer questions, don’t try too hard and come across tricky or desperate. Don’t start spewing information or details about your life that they didn’t ask for. Just give them an honest sense of who you are and what drives or motivates you. • Have a couple of questions ready to ask them. 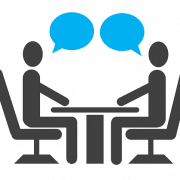 The majority of interviews end with, “do you have any questions for us?” You should. Being prepared with some relevant questions will show the recruiter that you are genuinely interested. Keep it simple and inquire about additional aspects of the job role as well as the future or progression that should be expected. 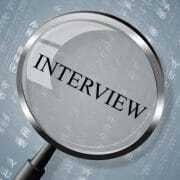 • Don’t ask about salary at an initial interview. It may seem like a good idea, but chances are you have a good idea of the ballpark you are in with the position. 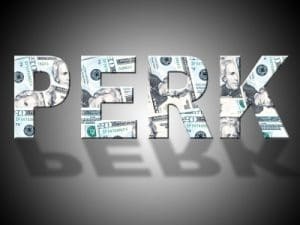 Asking about money to soon can make it seem like you are only interested in monetary gains and not the company or what they do. Hopefully there will be a time and place for that later on. • Don’t exaggerate your skills in a way that could lead to trouble. There is nothing worse than having something expected of you that you have no knowledge or understanding of how to complete. Be honest. • Attempt to build some kind of rapport or find common ground with the interviewer; this will make you more memorable. It never hurts to show interest in them and their position with the company either. Most of us consider it a compliment when others are interested in us; they are bound to feel the same way. • Ending the interview, of course, is in control of the interviewer, not you. Watch for cues, don’t overstay your welcome. Be sure to thank them for their time and leave the door open with a statement such as, “I hope to hear from you soon.” Starting and ending an interview on the right foot can make all the difference on the path to success. • Come prepared with knowledge about the company and position. Control your social media presence. • Be alert and polite from the moment you enter the property until you leave. • Look the part. Prepare a smooth introduction and connect with them throughout the interview. Don’t exaggerate your skills. • When the interview concludes, always thank them for their time. Proper use of the advice given above is sure to provide you an advantage as you work toward making your dream job a reality. As important as what you say is during a job interview, the way you communicate with body language also needs to be given some serious attention. You may be an interviewing pro or maybe the nervous type in stressful situations, whatever the case, you must make sure that your body language doesn’t speak more loudly than your words. Using these general body language tips will help you communicate that you are a great fit for the job, rather than drawing attention away from your skills. Smile. A warm smile can be contagious and create a comfortable environment for an interview. Think of the effect just receiving a smile from a stranger on the street can have on your day. It matters, a lot. Shake hands. Always start an interview with shaking hands. This will open a friendly door and set the tone between you and the interviewer. Use a solid grip while shaking hands without being aggressive. Practice if needed before the interview. Make good eye contact. Employers want to know that they can trust you. Maintaining friendly eye contact is a great way to show that you’re trustworthy. Holding eye contact while shaking the hand of your employer and occasionally throughout the interview will make the interview more personal. Be bright eyed and bushy tailed. Walk with energy and purpose. Sit erectly with good posture, but don’t go overboard and look to stiff. Enter with the appearance of confidence, even if you are feeling everything except confident! Sitting up straight conveys confidence, intelligence and honesty. Pay attention to your surroundings. Notice what is around you as you follow the interviewer through the place of business. If someone else is watching you, make eye contact and smile. Remember, these could be future colleagues of yours. It is imperative that you leave a good impression with all those whom you cross paths with. You never know who is taking notes on your behavior. Nod and occasionally lean in. One of the best ways to appear attentive, engaged and interested in a conversation is to lean in and nod occasionally. This shows that you are agreeable and understand what is being discussed. All of which are crucial in an interview. If this is not normal behavior for you, you may need to work on these skills beforehand so that they do not appear uncharacteristic for you. Share attention equally. You may end up with several different people conducting your interview. Remember to move your gaze from person to person and do not become fixated on any one interviewer. Do address the person asking the questions directly initially and then move along to include all interviewers that are present. Leave a positive, comfortable impression. Be calm and cool as the interview closes. Be prepared to stand with your interviewer. Gather your things and be ready but don’t rush. If you are a slightly delayed, this is a great time for a little small talk. Lastly, no matter what, do not forget to thank the interviewer for the opportunity and for their time. Everyday manners and common courtesy always count! Don’t slouch, yawn or seem bored, tired or uninterested. Lounging in your seat makes you appear uninterested and that you don’t take things seriously. Slumping also makes you look shy, stressed and un-confident. This appearance is not going to bode well for you in the interview. Don’t plop down. When asked to take a seat, don’t strut to your chair. Also, be sure not to fall into your seat. Sit calmly; be as graceful as you can. This will help you to appear to be comfortable. Don’t go too far with this and dramatically throw your arm over the seat or anything however. This will make you appear arrogant. Aim for a middle ground. Don’t be intimidating with eye contact. Constant eye contact can be intimidating and cause anxious feelings from your interviewers. Look away from time to time and be sure to not hold their gaze for too long. Respect personal space as well remembering that about 20 inches is the normal comfort zone for most people. Don’t cross your arms or legs. Body language 101, these positions make us appear defensive and guarded. Be cautious about these signs. Don’t fidget. Have a place in mind to put your hands. You don’t want to wildly gesture throughout the interview. If you require something to keep you from doing this, consider keeping a pen handy. You could even have a notepad with it to take quick notes during the interview if needed. There are many elements to a successful job interview but don’t neglect to give body language the attention it deserves. We have all heard it said time and time again, actions speak louder than words. Remember that and use your body language as an additional help rather than a hindrance as you interview to gain your desired position. What? You’ve Never Had an Informational Interview? You’re practically giving away your dream job to your competition. Informational interviews can be tricky to schedule or plan, but can be productive and help you understand the career field you want to go into. You should be prepared to talk about yourself, but know when you should switch to asking questions. During this conversation, you’ll have the chance to make a positive impression as long as you are well prepared. Informational interviews may seem like a waste of time, depending on the industry, but they do have benefits. 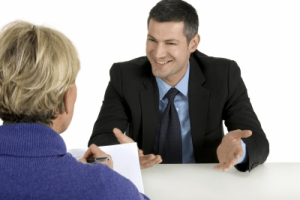 While those are all wonderful benefits to the outcome of an informational interview, but is it possible to get a job with this kind of interview alone? The preparation begins before you schedule the interview. 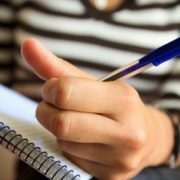 Identify what you want to learn and have a list of questions ready, with room to take notes. Take time to research the person you will be interviewing with – know their background and have a general idea of the career field you’ll be interviewing about. When you arrive for the interview, most likely, you will check in with the receptionist. Once the interviewee arrives, if you don’t already know them, be sure to introduce yourself and thank them for the opportunity. Make sure you emphasize, again, that you are there to gather information and learn about the career field. During the actual interview, you should be professional but relatively informal as you are simply there to obtain information. It should feel more like you are asking for advice, rather than for a job. Take notes and listen. After the interview is over, make sure you thank them. An email or handwritten card, regardless of the result of the conversation, sent within 48 hours of the interview, adds additional personal touch to show your appreciation. Include specifics about what you enjoyed about the encounter – this will make you more memorable. Stay in touch and, when appropriate, take advantage of their network. If you are lucky enough to schedule an informational interview, take advantage of the benefits that can present themselves. The answers to your questions are just the beginning what you can gain from this interview. You’ll be able to expand your network, improve your resume, and know if the career is right for you or if you should have a backup plan. Keep in mind that it is unlikely a job will be gained from this experience, but it is a beneficial technique for starting a relationship with people within a specific field. 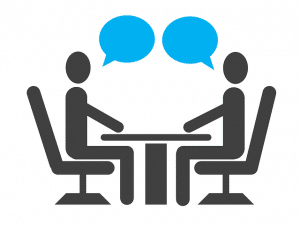 Informational interviews are developmental opportunities that should not be disregarded. Image attributed to graur codrin at FreeDigitalPhotos.net. https://www.fivestrengths.com/wordpress/wp-content/uploads/2016/12/informational-interview-compressor.jpg 400 266 Amy L. Adler https://www.fivestrengths.com/wordpress/wp-content/uploads/2016/04/Five-Strengths-Logo.png Amy L. Adler2017-01-05 03:15:132017-01-05 07:51:01What? You've Never Had an Informational Interview? We all hope to leave an impression when we walk out of a job interview. We want the prospective employer to remember us. But the question is, what kind of impression do we really leave behind? Read on to get some tips on what you do not want to be remembered for. We work hard to get our foot in the door and have that chance to actually show an employer who we are and what we have to offer. With that in mind, there is nothing worse than blowing that opportunity by having a less than impressive interview. Not only will we miss out on the opportunity that we were applying for, but with Networking as it is, we run the risk of getting a “bad name.” Here are some examples of what not to say in that situation to ensure this doesn’t happen to you. The right answers will make or break your interview. Don’t blow it!! Don’t answer with something simple like, I am a hard worker, I like to learn, etc. You don’t want to be vague and boring. They really want to know what specifically makes you a strong candidate for the position, talk about those exact skills instead of being general and non-specific. Tell me about a weakness? Don’t be silly with this question, it matters. Don’t blush or stammer, be prepared. They also don’t want an arrogant employee; do not say that you don’t have any weaknesses. We all do and they know that! Also don’t be over-indulging with phrases like; I don’t know how to pick just one. That is just scary. Shoot for somewhere in the middle. Pick a weakness, but offer a solution with it. Something like, in the past I have tried to help others in the workplace get along and finish projects, etc. Although this can be a good thing, I have learned at times it is often wiser to prioritize and handle myself and projects well first before worrying about outside issues. This is often a kick- off question and can be easy if you are properly prepared. 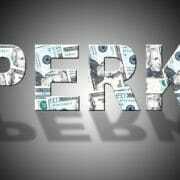 Saying something like, I hear you pay well will prove to be a costly mistake. Also, avoid answering with things like, I saw you were hiring so I thought I would check things out. You also don’t want to look as if you are there spur of the moment and have no information. You are capable and valuable and therefore you have options. Because of this fact, you have, of course, done your homework and should have plenty of information about the company and position. This is not an opening to explain how you struggled in your last position but you are sure that it was because your co-workers were intimidated by you. Don’t do it! Trust me; this is not what they want to hear. Do not bad mouth past bosses or fellow employees, it will get you nowhere. No employer wants to hire someone that is difficult to work with. If you give them reason to worry about your social skills, chances are you won’t be hired on. It is just a short drive from my home. Ouch! Not good enough. Hearing that a job is “convenient” for you is not going to leave a positive impression. Irrelevant information, such as being excited about employee discounts or benefits, is not helpful. This is a better place to offer some kind words about the company, the people and its reputation. Leave it at that. How about, how much vacation time would I get? Or would I have to work overtime? These are equally as bad as saying that you don’t have any questions for them. You should ask some questions that actually relate to the position or what you would be doing on a daily basis. Asking about the benefits of the position can be done after you have an offer. Remember, there are plenty of ways to ruin an interview and annoy an interviewer. With a little time, practice and preparation you can avoid doing just that. Bad responses in an interview can truly damage your chances of a call back or even a position in your field. Tread carefully and think things through. You will surely be remembered for the good impression you make. Recently, I visited a very professional company. Imagine the reception I would have received if I showed up in jeans! Have you ever felt underdressed and unprepared for your job or your interview? Don’t make this mistake in your job, and certainly don’t make this mistake in your interview. For great tips on mastering the perfect interview or professional ensemble, take a look at this infographic, which lays it all out for you. Dressing confidently for your job or your job interview can make the difference in the way you present yourself, so knowing the right way to dress professionally can improve your self-presentation, which, of course, can make all the difference in your interview. No matter the work environment or situation, whether you plan to master the upcoming interview, apply for that recent promotion, or uphold your professional image, T.M.Lewin has a range of men’s shirts, sharp suits, and classic women’s wear for today’s driven workforce. Why is “What haven’t we asked you that we should have” is so important in your executive job interview? The job of an interviewer is to meet with prospective executive job candidates, ask detailed, preplanned, and specific questions and decide whether or not this candidate should move on to the next round of interviewing. Throughout your executive job interview, there is one move that you are sure to experience, they will attempt to “rattle your cage,” at least once, possibly more. They won’t push you too far, just far enough. They want to throw you off balance and see how you react under pressure. One of the questions that seems to be designed especially to do this is, “What questions haven’t I asked you?” This can be a make it or break it moment, it is up to you. If you are prepared, this can be your chance to seal the deal and thoroughly impress the interviewer. Try as we might, it is nearly impossible to be prepared for every single question that will come our way in an interview. But, even so, it is in our best interest to do all that we possibly can. You should practice your answers to the hard questions in front of a trusted friend, or even take video yourself (this is so easy with smartphones!). Watch what you have recorded to be sure that you do not appear to be unprepared. Make sure you appear calm and not flustered or frustrated. Keep your voice steady and remember to smile and not look or act like you are in pain–even though you might be! There will be no surprise element to your executive job interview because you will be prepared–more than half the battle won. · No “Cookie-Cutter” Answers: Be Creative! While it is great to have some practice under your belt and be prepared, be sure that you do not seem to be completely rehearsed. You will need to think outside the box. This can sometimes become easier when you have actually been chatting with the interviewer for a few minutes. You will not be able to preplan that person’s temperament or personality. You may need to tailor your responses to meet what you feel they are looking for to some extent, but remember to be true to who you are. Chances are the interviewer is hoping to discover how quickly you think on your feet without tripping over your own words and thoughts. That’s why thinking creatively along with your preparation will be essential. It would serve you well, as you prepare to spend some time researching unique questions that may be asked during an interview. They may even go so far as to ask questions such as: what book are you currently reading? Your answers to these unexpected questions can really make a difference in the overall impression you leave them with. As far as an actual example of an answer, try something like, “We have covered a lot already, but I was hoping to expand on my experience with…” If what you bring up leads into a more detailed discussion on your level of experience and qualifications, then that’s a good thing. If not, you can simply conclude with something like, “I, of course, just want to tell you again how excited I am about this position.” That will leave the conversation with a positive conclusion. In summary, keep in mind that for the most part, prospective employers are simply interested in what YOU truly think your strengths are. They would like an idea of how you handle different situations including disappointment or failure. With that said, your interviewer most likely, would like to give you a chance to speak freely about anything that they may have neglected to ask you. Use the opportunity to highlight your skills and accomplishments. Don’t be afraid to accentuate the positive. Your response to that final question will provide them with the information they need to determine whether you can handle high-pressure situations and respond effectively or not, so show them you are capable. If you remember to always think in advance about where your words will lead the discussion, you will be able to effectively focus the interview in the direction you want it to go. Interviews aren’t fun, but with proper planning and preparation you can maintain at least some control and keep the focus on your positive qualifications.